In a closely matched group, every fixture will be pivotal, and this is no different. After the closely contested Group D opener between Afghanistan and Pakistan, the second clash between Ireland and Sri Lanka at the Cobham Oval in Whangarei on Sunday (14 January) has a lot to match up to. It possibly could though, what with there being quite a few interesting observations to be made: What does the future of Test cricket’s newest entrants look like? Can Sri Lanka’s youngsters take the wounded lions back to the top? We can’t expect definitive answers, of course, but this clash should certainly hint at things to come. Sri Lanka U19’s record in 2017 doesn’t make for great reading. They played 17 one-day matches, losing ten of them. Five of their seven victories came at the beginning of the year, in a tri-series in South Africa also involving Zimbabwe. However, in the seven matches they’ve played since, they have won just twice. But with those wins coming against tournament front-runners Australia and Afghanistan, it would seem they are not be discounted. Ireland sealed their spot at the World Cup after a qualifying campaign in which they won all the six matches they played, including a dramatic six-run victory over Scotland. They had their moments too during the warm-up match against England, despite the 125-run losing margin. Though they struggled with the ball, a total of 247 represented a good effort batting second. His ability to bowl off-spin as well as orthodox left-arm spin means Kamindu Mendis is relatively well-known. What is less known is the fact that he is a decent batsman – in 36 one-day matches at Under 19 level, he has four half-centuries, including a 68 against Pakistan in the 2016 ICC U19 CWC. 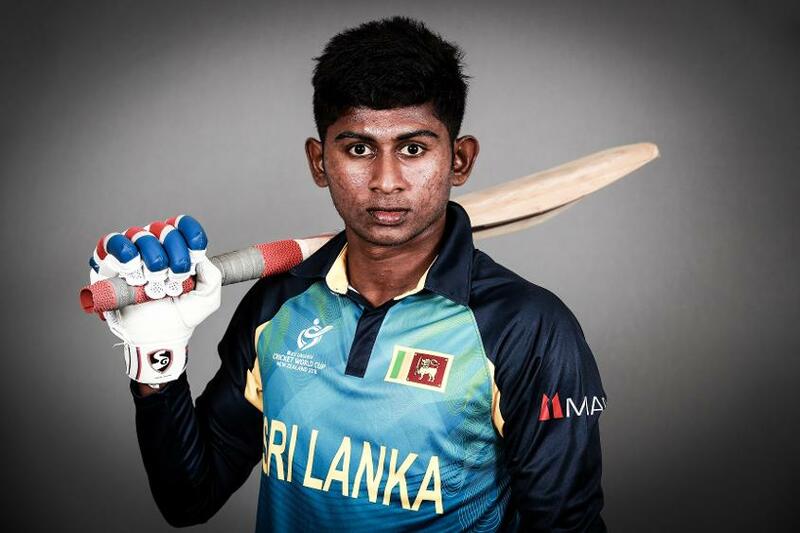 As captain his experience of Sri Lanka’s previous U19 World Cup campaign, when they fell to India in the semi-finals, could also prove invaluable. 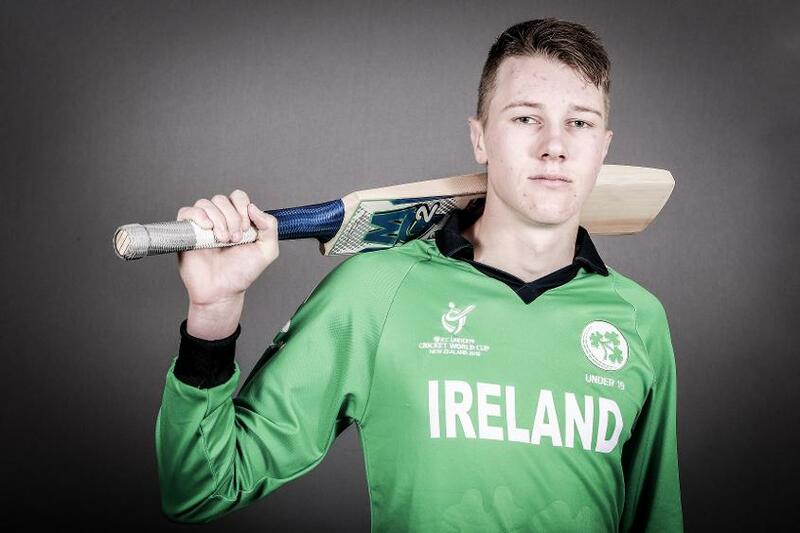 How Ireland’s batsman fare against Sri Lanka’s spinners could go a long way in deciding the outcome of this match, and they will be looking to their skipper Harry Tector to lead the way. Having made a hundred in Ireland’s warm-up game against England, and with experience of the 2016 ICC U19 Cricket World Cup under his belt, it’s a task he’s hinted he’s up to. The best Sri Lanka have ever fared in an Under 19 World Cup was in 2000, when they lost to India in the final at home in Colombo. Thereafter, they have reached as far as the semi-finals in 2010 and 2016, but have failed to leave an indelible mark on the tournament. Ireland have made seven appearances at the Under 19 World Cup over the years, going back to 1998 when they made their debut in South Africa. They have never made the knockouts, but their highest finish of 10th did come on these shores in 2010. They played the 2016 tournament only because Australia withdrew, and they ended the campaign in 13th spot. The three Under 19 ODIs played between these sides have all ended in Sri Lanka’s favour. The Asian side won their first encounter in the 1998 Under 19 World Cup by a thin margin of two wickets. Thereafter, it’s been comprehensive – Sri Lanka won by eight wickets in Colombo in 2000, and by 109 runs in Brisbane in 2012. While most of the country saw showers on Saturday, Whangarei had plenty of sun, allowing for the clash between Afghanistan and Pakistan to proceed without delays. More of the same is expected on Sunday. Sri Lanka: Kamindu Mendis (c), Dhananjaya Lakshan, Santhush Gunathilaka, Hasitha Boyagoda, Nawanidu Fernando, Nipun Dananjaya, Ashen Bandara, Kishan Sanjula, Nishan Madushka, Jehan Daniel, Praveen Jayawickrama, Haren Buddila, Thisaru Rashmika, Kalana Perera, Nipun Malinga. Ireland: Harry Tector (c), Ian Anders, Aaron Cawley, Varun Chopra, Mark Donegan, JJ Garth, Jamie Grassi, Reece Kelly, Graham Kennedy, Josh Little, Sam Murphy, Max Neville, Neil Rock, Morgan Topping, Andrew Vincent.